The benefits of traveling on Amtrak with a family companion or significant other has never been better as Amtrak’s latest sale, “Roomette for Two for the Price of One”, allows one person in a group of two to travel for free. This fare is available exclusively on Amtrak.com from Wednesday, June 20 through Tuesday, June 26 and valid for travel from Monday, August 20 to Friday, February 15, 2019. In addition, Amtrak roomettes have room for small carry-on bags and large suitcase in a storage area in the lower level, electrical outlets, huge double-decker windows, a fold-down table and a dedicated train attendant who will book meal reservations, make and take down the beds, assist with luggage, tell you when your stop is close and even share great stories of life on the rails. In a roomette, customers have the ability to move around the train, visit the lounge car for beverages or snacks, as well as the benefit of relaxing in the comfort of their private room. Customers will be able to take advantage of the low prices from the sale and purchase their tickets on every Amtrak train that has sleeping accommodations across its national network, including the Auto Train (northbound only), California Zephyr, Capitol Limited, Cardinal, City of New Orleans, Coast Starlight, Crescent, Empire Builder, Lake Shore Limited, Silver Service, Southwest Chief, Sunset Limited and Texas Eagle. 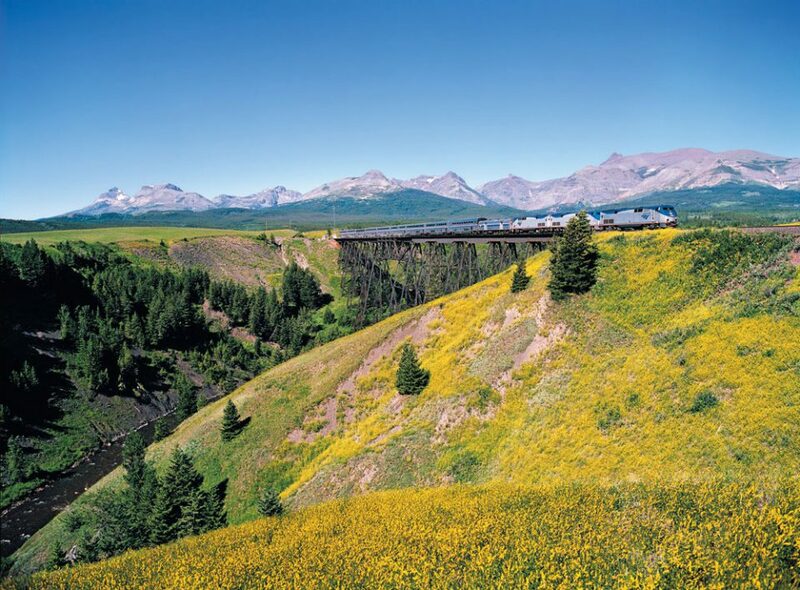 On these trains, travelers can experience some of the best views and sightseeing opportunities in the United States. There is a blackout date on Sunday, November 25. Other terms and conditions apply. Visit Amtrak.com for complete details. Image: The Amtrak Empire Builder traveling through Glacier National Park.